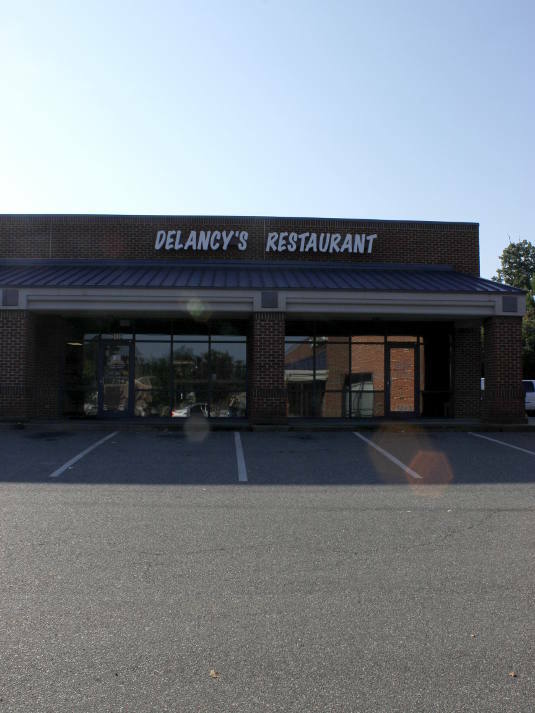 Started in 1999, Delancy's Restaurant is a family owned business that has been serving up some of the best home cooked meals for more than a decade. Our original location was in quaint downtown Gibsonville until we relocated to Burlington. We specialize in home cooking and comfort food. Our food is made from scratch with quality ingredients and is as fresh as possible, which sets us apart from our competition! What are our most popular items you ask? Try our meatloaf or chicken pie with pinto beans and made from scratch mashed potatoes! Or how about our own pimiento cheese sandwich with a side of fresh hand cut fries or our delicious hot chips! Give us a try and you will think that your grandmother is in the kitchen doing the cooking. Need an event catered? We will gladly be here to help! Before branching out into a restaurant, we specialized in catering! Our restaurant also has a private meeting space that can seat up to 24 guests! Finding us is real simple! If you are in Burlington, we are easily accessible from South Church Street and we are located right in between Merchant's Tire and Lowe's Home Improvement in the Gala Plaza. For directions please see our CONTACT section.
" Best pimento cheese and homemade crackers !! Always my favorite! " " The best home cooked food! " " I ate here tonight for the first time. DE - LISH!!! Best meal I've had in a while. Highly recommend it! " " Best home cooked food ever!!! Mac and cheese is out of this world! " " I didn't think you all could get any better but today you went above and beyond! Your customer service (and food) are the best ever. "